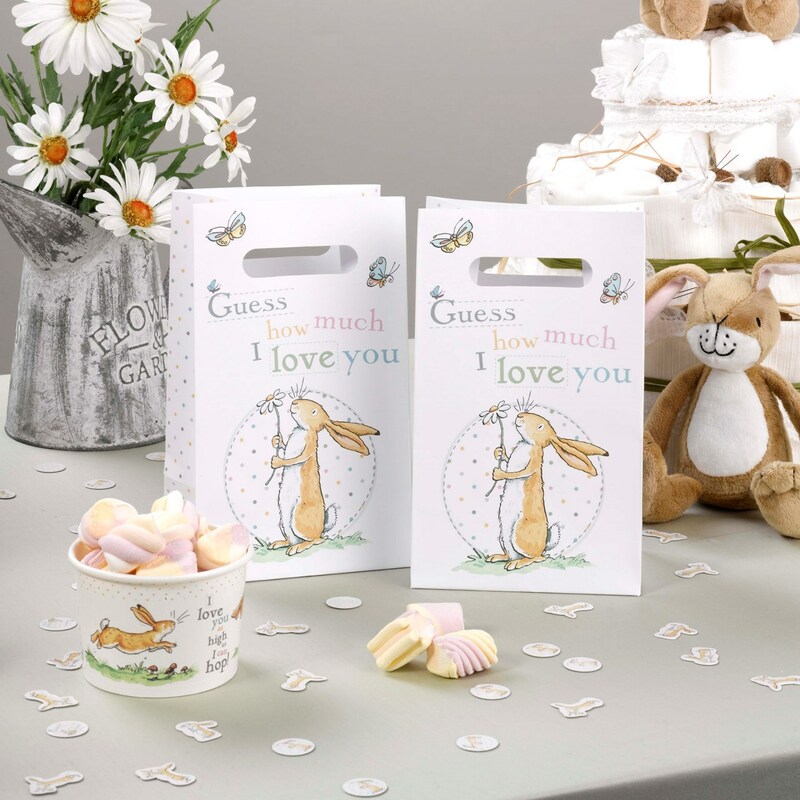 Offer your party guests a goody bag to truly delight with these lovely options, featuring the unmistakable illustrations from the classic children’s story ‘Guess How Much I Love You’. With plenty of room for cake and other small treats and gifts. The bags are perfect for your baby shower, Christening or first birthday party celebration and can be used alone or combined with the other gorgeous accessories in the collection. Each pack contains 5 Party Bags.